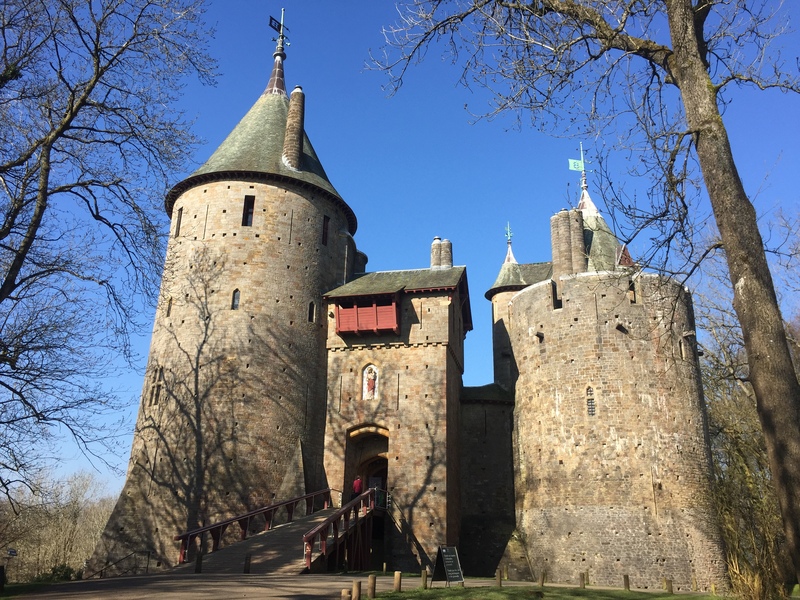 Marta Montanari explored South Wales and tells the stories behind its most magical castles. Have you ever dreamed of having incredible adventures in magical kingdoms? As kids, we used to dream of building forts and fighting amazing battles. Today, it can get more difficult to dream the same way, but we do still have the chance to walk through real castles, meet knights, visit medieval fairs and live it all once again. Here are five of the most interesting castles to visit in South Wales. Located in the heart of Cardiff, this castle hosts many events all year long. From big fairs like ‘La Grand Melee’, where knights will fight creating the illusion of being back in medieval times, to Christmas themed events where you’ll get the chance, for example, to learn how to make Christmas decorations. The castle was originally built in 55 A.D as a Roman Fort and throughout the years Normans, Tudors and, later on, the Bute family resided here. When the third Marquess became the owner, he decided to restore it with the help of architect William Burges. Cardiff Castle is known for its unusual decorations throughout the interior and exterior of the castle. The legend says that the private room of Lord Bute’s wife didn’t have anything on its walls because she wanted a room much simpler than the rest of the castle. If you are living in the city, a little bit of the Cardiff Castle can be yours too. When the third Marquess of Bute decided to donate it (in 1947) he did not leave it to the city of Cardiff but to its citizens. He wanted his beloved castle and Bute Park to be enjoyed by the population. You only need to buy a Castle Key Card, valid for 3 years, and you’ll be able to get discounts for events, free entry for regular tours and discounts on food and souvenirs. This isn’t too far from Cardiff, in fact, you’ll be able to see the very top of Castle Coch from one of Cardiff Castle’s towers. You won’t need more than a bus to get there or you can decide to go by bike following the Taff Trail. Known as the summer residence of the third Marquess of Bute, the decorations were inspired by classical mythology, fables and medieval stories. From the outside it looks just like a castle from a fairy tale. Originally built by Gilbert de Clare in the 13th century, it was then rebuilt from its ruins by the third Marquess in collaboration with William Bruges, and completed in 1891. The main bedroom, belonging to Lady’s Bute, has a circular shape and is quite extravagant. You’ll see crystal globes at each corner of the bed, which is located under a dome. On the walls there are 28 paintings of monkeys and carved birds all around the room. Even the sink is in between two small castle towers. Lord Bute’s room, on this occasion, is much smaller and simpler, especially if compared to the incredibly decorated drawing room. 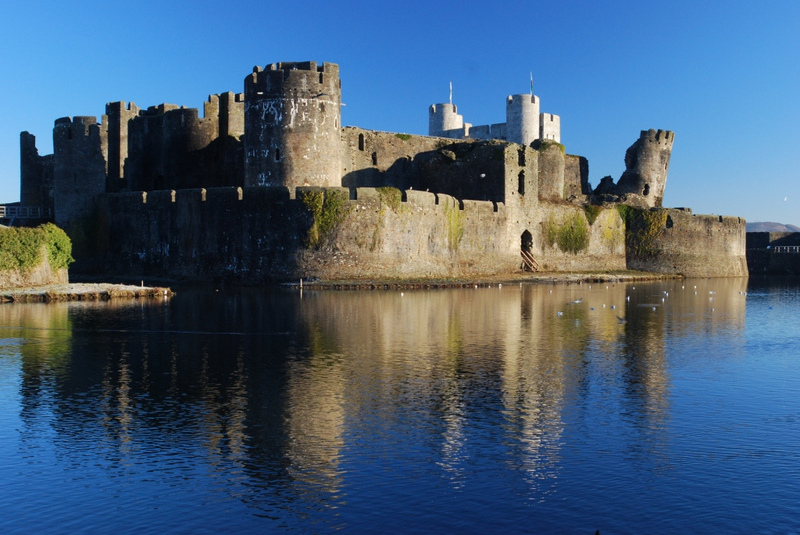 One of the first concentric castles in the UK and one of the largest in Europe, Caerphilly Castle was built in 1268 by the noble man Gilbert de Clare. Today, it is said that the ghost of his wife, Princess Alice of Angouleme, still haunts the castle. The castle is known for one of its bendy towers (due to land subsidence) as a giant statue was built with its arms up, pretending to hold the castle as it stands now. When you see it for the first time you’ll feel like you are on a movie set and you’ll quickly fall in love with the place. Admire the contrast between the huge towers and the many ducks and fishermen that spend their time on the edge of the water around the walls. The castle was actually used as a movie location and every summer it hosts the Big Cheese festival. Around 70 000 people come here, over three days, to enjoy the event, taste the famous Caerphilly cheese and see the cheese Olympics. Most of the castle was completed around 1268-1271 by Gilbert de Clare and Lord Marcher as an answer to the threat of Llewellyn ap Gruffydd, Prince of Gwynedd. Even though it’s one of the best examples of medieval forts in Great Britain, with its modern defensive architecture, when Edward I came to power, everything changed and it stopped serving its purpose before any battle was fought. Most of what we can see today is there thanks to the renovation completed between 1928 and 1939 by the 4th marquess of Bute. Easy to reach by train, you’ll need only 5-7 minutes to walk to the castle. If you are lucky and the sun is out you could also enjoy a lovely picnic on the grass outside the walls. Chepstow castle appears on a cliff overlooking the river Wye, facing the England border. Its was construction started in 1067 by William Fitz Osbern and its history is shown in the lower bailey where you’ll be able to see the oldest castle door that exists in Europe. Every room has a different atmosphere, you’ll be able to visit the many towers, look outside the windows and the balcony on the cliffs. Even the bathrooms are different to what you may have seen in more modern castles. 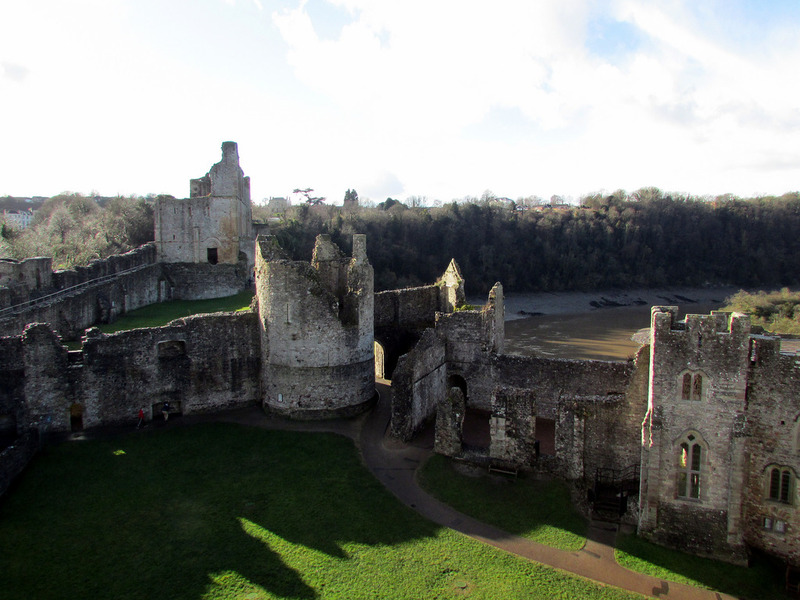 Chepstow Castle was of strategic importance in the past. It is made out of stone from the nearby cliffs where, the legend says, there is a cave where King Arthur is resting with his knights until the moment Great Britain will need him again. 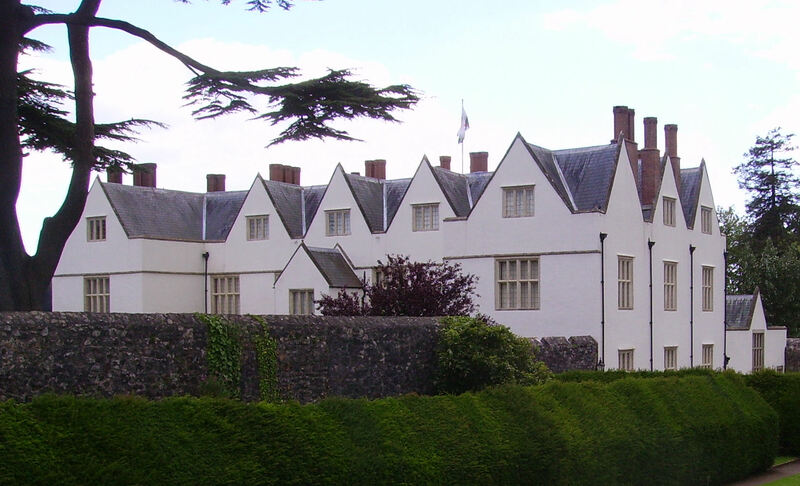 Very different from the others, St Fagans castle museum is an amazing collection of original buildings transferred from all over the country in order to create a very different open air museum. St Fagans Castle belongs to the medieval times and the ancient building from 1500 was donated by the Earl of Plymouth with its beautifully kept Italian gardens. You can walk through the castle and enjoy the cafeteria inside. You can sit in front of the little lake and the huge old trees that surround it. While walking around the museum, you’ll also have the opportunity to see how flour is produced in a working mill and buy some from the shop, you can taste local sweets, handmade cheese bread and much more. St Fagans National Museum of History includes more than 40 buildings (old farms, churches, a school and shops) all surrounded by nature and farm animals from the farm that is just next to the museum and often partially open to the public. Last but not least actors and employees are around to explain anything you’d like to know about the history of the buildings.